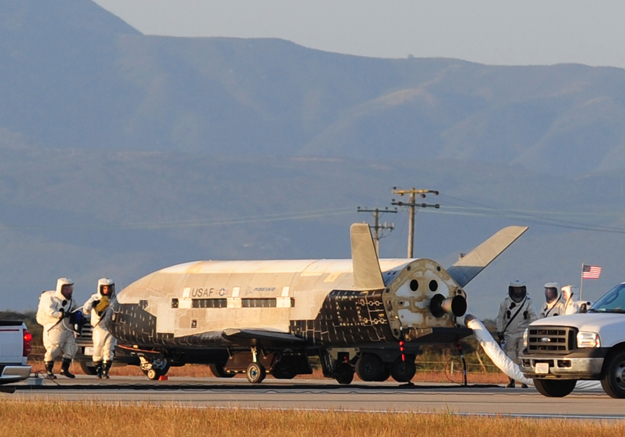 Investments will be made to convert the former space shuttle facility, OPF-1, to a facility that would enable the U.S. Air Force to efficiently land, recover, refurbish, and re-launch the X-37B Orbital Test Vehicle (OTV), a 29-foot-long, reusable unmanned spacecraft. "Boeing's choice to further expand its presence on Florida's Space Coast validates the state's position as a leader in aerospace. The company's investment and the jobs created add to this extensive sector," said Gray Swoope, president & CEO of Enterprise Florida. "We are proud to have Boeing as a corporate leader in the state and we look forward to our Florida workforce being a part of the company's future success." "This project has been a great example of state and local agencies working together to create an optimal toolbox of capabilities for the customer," said Frank DiBello, president of Space Florida, the state of Florida's spaceport authority and aerospace development agency. "The commercialization of OPF-1 through Space Florida's project funding was a critical factor in attracting Boeing to Florida. We are pleased to see our partnership with the Florida Department of Transportation and local communities through spaceport projects contributing significantly to the continued growth of Florida's aerospace economy." "This is a great opportunity to utilize Brevard County's talented workforce in support of our nation's next-generation space vehicle research platform," said Mary Bolin Lewis, chairman, Brevard County Board of County Commissioners. "We have seen the impact and visionary thinking Boeing and the Air Force bring to the Space Coast and we are pleased to work with NASA, Space Florida, Enterprise Florida and other key state and community partners to further diversify our space industry," said Lynda Weatherman, president and CEO of the Economic Development Commission of Florida's Space Coast. "We have long touted how attractive our unique infrastructure and workforce are to both the private sector and the military, and we are excited that this project capitalizes on both of those strengths while laying the groundwork for future growth."